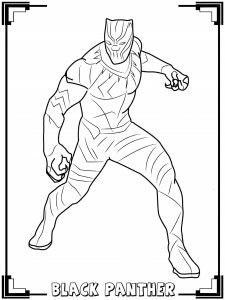 Discover Free Coloring pages inspired by the Marvel Super hero Black Panther. Black Panther is a 2018 American superhero film based on the Marvel Comics character of the same name. 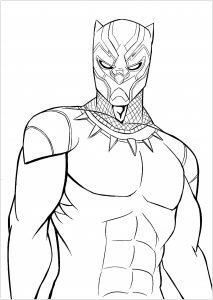 It follows T’Challa who, after the death of his father, the King of Wakanda, returns home to the isolated, technologically advanced African nation to succeed to the throne and take his rightful place as king.